The official logo of the Oklahoma State University Cowboys. Enamel finish cufflinks on a nickel plated backing. 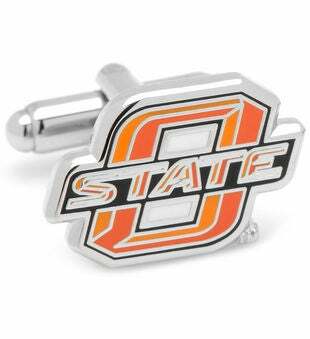 Officially licensed NCAA cuffklinks. Approximately 3/4" x 1/2". Silver plated with enamel. Bullet back closure. Officially licensed by NCAA.